The Prescott School dress code offers our students an option of 4 different colored logo’d polo shirts. Prescott Parents has worked closely with Barrel Maker Printers to design a Dress Code Program that is colorful and affordable. 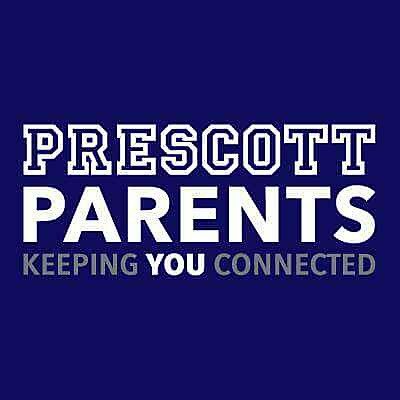 Proceeds from this program will go directly to Prescott Parents to fill fundraising needs. The colors available in the unisex short sleeve polo shirt are red, yellow, white and grey. Long sleeve polo shirts are available in red and white. All shirts have the new Prescott emblem in the top left of the shirt. To accommodate the winter weather, crew neck sweatshirts in grey and red (with the emblem) are also available. Uniforms will be delivered to your house within 10 business days, so plan ahead if you need new uniforms. · You can purchase navy bottoms from any retailer including Target, Old Navy and Lands End.